DAVAO CITY (Mindanao Examiner / Oct. 3, 2011) – Environmentalists, backed by various religious groups, vowed to fight off efforts to put up a coal-fired power plant in Davao City in the southern Philippines. They said villagers are opposing the putting up of a 300 MW power plant in the coastal villages of Binugao and Inawayan. They also questioned the issuance of an Environmental Compliance Certificate (ECC) by the Environmental Management Bureau (EMB) to Aboitiz Power Corporation (APC) for the proposed 300 MW coal-fired power plant. Dr. Jean Lindo, co-convener of the group called Network Opposed to Coal-Fired Power Plant-Davao, said the as an environmentally critical project, the coal plant proposal must undergo thorough scrutiny and must involve the stakeholders in the decision making. Lindo said the EMB has no basis in giving out an ECC because of concern about the freshwater consumption of the coal plant, and given that the proponent has, to date, not provided any substantial health impact assessment, which is crucial in the EIA process. Villagers in Inawayan claimed that they were not informed of the negative impacts of the coal plant to the environment and their health. Village leader Sumatra Jala, also the chairperson of the Nagkahiusang Lumulupyo ug Mangingida sa Inawayan, said none of the EMB officials went to their place for a consultation on the hazards of the coal-fired power plant and the so-called “impact assessment” submitted by Aboitiz to the agency. Francis Morales, Secretary-General of the Panalipdan, a broad alliance of environmentalists and peoples' organizations, also accused EMB of washing its hands into the issuance of the ECC after it drew criticism from various environmental groups in Dabao. “The EMB washed its hands off any responsibility by pointing out that the national office has direct hand in the approval of the ECC,” he said, adding, the EMB has not given them a copy of the Environmental Impact Assessment report despite the fact that it’s a public document. “The proponent has obviously a lot to hide. It lied about the water consumption issue in front of the Council, it even denied the fact that they will be encroaching on a Kalagan Moro settlement that has been there for five generations,” Morales said. The settlement is part of the 52-hectare ancestral domain where Aboitiz plans to put up its coal-fired power plant. 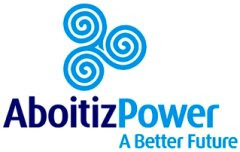 Aboitiz said the proposed power plant would use so-called “clean coal technology,” a collection of technologies being developed to reduce the environmental impact of coal energy generation.